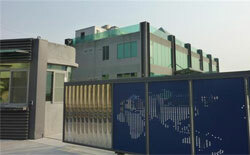 Shyh Hwa Stainless Steel Tube Co.,Ltd. Welcome to Shyh Hwa stainless steel tube co ltd. We are a welded stainless steel tubes, angle and flat bar manufacturer based in Taiwan. Our customers mainly are producers or retailers who prefer high finishing decorative stainless steel profiles. To succeed this mission we implement a long term relationship with our customers based on our common interest~the end-users.That’s why Shyh Hwa is your stainless steel best partner. - Open minded culture: Taiwan has always been opened to the world and made their wealth thanks to their famous OEM and ODM supplying the most famous electronic companies in the world. - Competitive High skills value: The education system in Taiwan is well established and the cost of living is quite low. 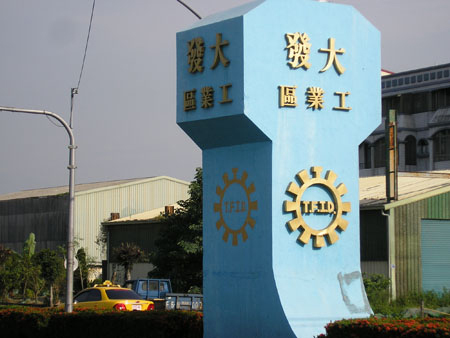 Therefore, Taiwan is able to provide very high value quality products at very competitive prices. - Assiduity: “Working hard” i a society value well implemented in the Taiwanese culture. The service in Taiwan is now well recognized by many industries in the world. - Expert in stainless steel: Many companies here produce stainless steel products such as sheet, coils, tubes and pipes… This area has a very high know how concerning stainless steel. - Solidarity: Stainless steel companies are always collaborating between each others to provide better and entire services to our customers. Shyh Hwa is a classic Taiwanese company that detains all the above advantages and has the potential to become a major actor in the world. Shy Hwa is a company totally turned to the final customers while we’re keeping a long term relationship with our partners characterized by our FIRE value. Fruitful: Shyh Hwa can provide high skills quality products with very competitive prices thanks to our efficient facilities (see production part) and brave labour forces. Innovative: Shyh Hwa has to innovate to answer to a demand more and more exigent. We focus on the final customer in order to anticipate the demand and give more opportunities to our customers. Reliable: Shyh Hwa provides you the right product with the quality expected at the right time. Exclusive: Shyh Hwa implements exclusive relationships with its customers to optimize the chance to our customer to get a real competitive advantage in their market. This exclusivity is due to our ability to provide customized products, adapt business conditions, and guarantee to conserve the distribution chain. Shyh Hwa and his parters are working together without breaking the distribution chain to provide the right products at the right price to the final customers.